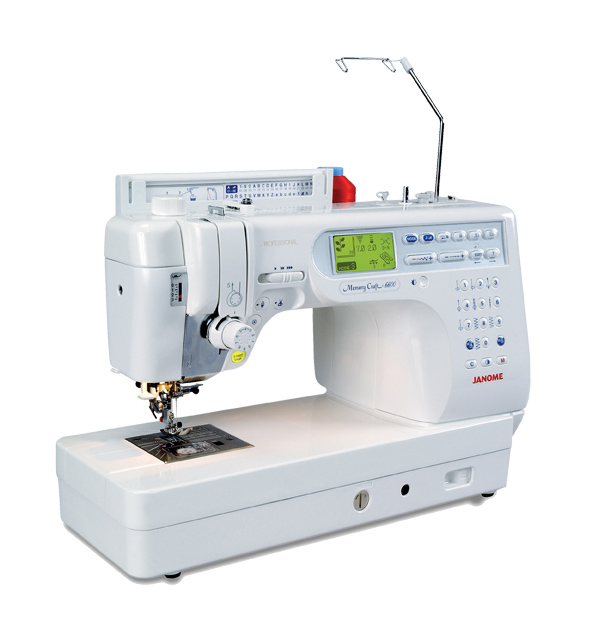 The Janome Memory Craft MC6600 Professional has the speed and precision critical to advanced sewing. 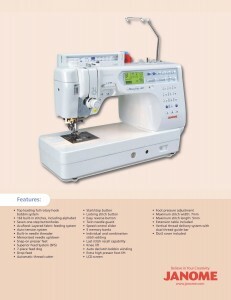 The MC6600 contains loads of features created especially for quilters, including the AcuFeed system. 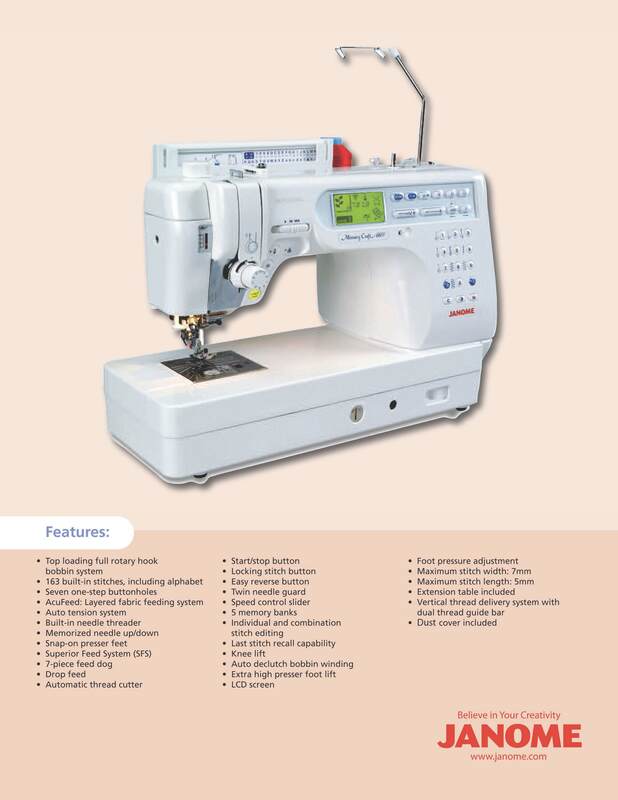 AcuFeed: Layered Fabric Feeding System ensures your sewing and quilting are even, smooth and precise on all types of fabric. The AcuFeed foot is integrated with a unique seven-point feed dog system, so your fabric is guided perfectly from the top and the bottom. AcuFeed is a unique and innovative feature - once you try it you'll wonder how you ever lived without it!